An intimate portrait of the lives and writings of the Brontë sisters, drawn from the objects they possessed. 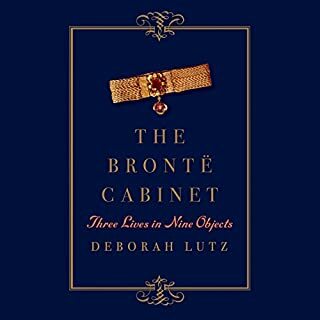 In this unique and lovingly detailed biography of a literary family that has enthralled readers for nearly two centuries, Victorian literature scholar Deborah Lutz illuminates the complex and fascinating lives of the Brontës through the things they wore, stitched, wrote on, and inscribed. Fascinating concept - shame about the inaccurate pronunciations ! What a strange experience listening to this audiobook is. Fantastic book - material objects and the light they shed on culture. I have read so many books about the Brontes, over four decades maybe every major thing published. This book is right up my street - brilliantly researched, well written and actually full of material I haven't encountered elsewhere. I was listening to this whilst my husband was still half asleep, this morning, and &quot;Noosey&quot; actually made him laugh so hard he nearly choked. Unbelievable. I have checked again. Nope, not a robot. Words like Haworth and Keighley are, you'd have thought, slightly central to the Brontes' story. And what a shame such an appalling narration distracts from a fantastic book. Sadly it does as I made the unusual decision of buying the Audible book first when I normally buy on Kindle or a print version. Please please publisher, re-record this with.. you know, someone who can actually... read. I can't review what seems like a fabulous book, with such atrocious narration standing in the way. This is too embarrassing to listen to, in front of other people. 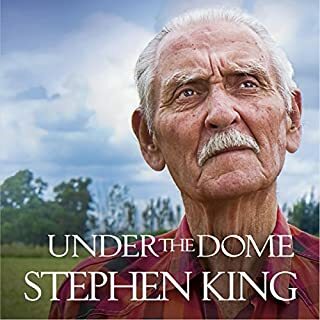 For many years, this was my favourite Stephen King novel. Now it's been relegated to second place, by a more recent one, but.... still excellent. If Dickens was alive today; this is how he would write. King adeptly handles a large cast of characters; some likeable, some not - all very well written. This was the audiobook I was waiting for. I have been reading Stephen King books since 'Carrie' came out. This has to be my favourite book, even overtaking 'The Stand' in top spot, in my heart! I love the opening chapters - the most compelling of any time travel books I have ever read. The only thing that detracts from the plot, for me, is the emphasis shifting onto the rather unconvincing romantic interest, in the latter part of the book. Although it turns out there are plot reasons for that, I did find the main female character slowed the story down and was a bit of a flat, 2 dimensional 'wish fulfilment' character, than a convincingly written female. That might just be me, though. The book got a bit flabby with all the love interest, about 2/3rds of the way in - but picked up again towards the end. If I'd been sub-editing this, that character would have gone, and it could happily lose maybe a good 100 pages at the point the plot slows. I'm guessing Stephen King's publishers wouldn't dare! 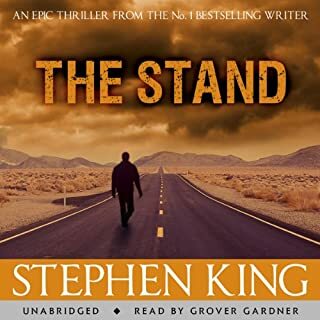 The narrator was brilliant, one of the best I have heard on Audible. 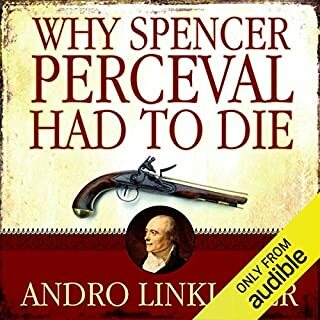 On the afternoon of May 11, 1812, Spencer Perceval, the all-powerful prime minister of Great Britain, was fatally shot at short range in the lobby of Parliament by John Bellingham, a Liverpool businessman. Perceval polarized public opinion: Revered by some and hated by others for his fight against the lucrative slave trade, he domineeringly kept Britain at war against Napoléon and was driving her into war with the United States despite the huge economic drain of each, raising taxes to new heights to finance his decisions. Bang On. If You Pardon the Pun. Impossible to fault Andro Linklater's excellent book. I re-enact this period, and this gave us so much valuable background to the era. (We listened to it as we were hand-sewing our 1800 period costume!) So many people probably don't even know a British Prime Minister was assassinated - although we all know about the assassinations of US Presidents, which is a shame. 1811 has to be one of the most pivotal and fascinating points in European history. Hope I am not making this sound like a dry history tome - it is far from that. A compelling story, well told. My teenage son, who has never read or been interested in an history book in his life, loved this so much he downloaded it and listened to it himself, after overhearing a bit of it. Grand, sweeping, and deeply beautiful. 'The Return of the King' is Tolkien at the top of his game. Clever, profound and moving - it has become the blueprint for every subsequent fantasy writer. I re-read it most years but now will probably listen to it instead. Big fan of Rob Inglis, too. He was the perfect choice for this book. 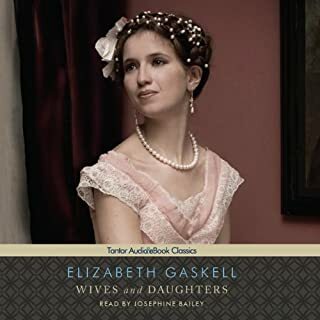 I didn't realise when I bought this - despite having a degree in Eng Lit and having read most of Gaskell's other novels - that this book is incomplete. Rather selfishly, Elizabeth G died in the middle of writing it. Well, almost at the end of writing it. Which means even if you're enjoying it, it is a blow. Maybe we were warned somewhere on Audible that it is an incomplete book - but if we were, I missed it. I prefer every other EG novel, to this one. It is a very mature work, and quite subtle. Stick with 'Cranford'. 'Cousin Phillis' or 'The Life of Charlotte Bronte' if you want a more readable and engrossing intro to Mrs G.
With 'Under The Dome', Stephen King is back on form. A compelling, well written story with the usual brilliant underlying concept, and adept handling of a large cast of characters. 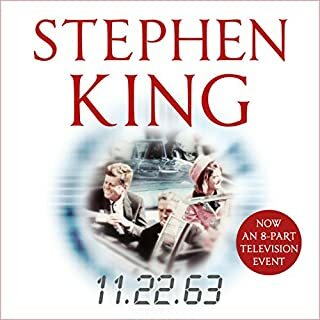 This was my teenage son's first introduction to Stephen King - and he's now a big fan. Haunting, beautiful, magical -a grand book that is unafraid of grand themes. This is the point in the trilogy where things get even darker, and the Fellowship diverges. It seems an impertinence to "review" this at all, and it is hard to find words that will say to someone "You must pick this book up!" and yet, that is the bottom line, here - this is one of those few books that you want everyone to read - a truly seminal piece of writing. Again, Rob Inglis is pitch perfect. Love the singing too! It could be cringeworthy. It isn't. 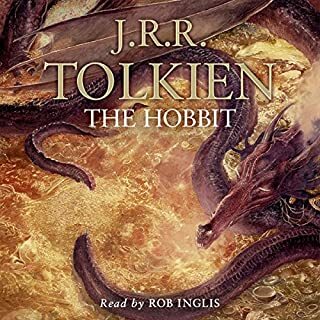 'The Hobbit' on Audible for me is a more satisfying experience than reading the book - immersive, and vivid. At the end of it, you feel like you too have been on the Adventure - there and back again. It was written as a children's story in the 1930s, so there is a sense in which it begs to be read out loud, and sometimes we forget this, as it has become such a 'classic' - text people pore over, and parse down, and study rather than... enjoy. Listening to it reminded me of being back in Junior school in the 1960s, my then elderly, beloved teacher Mr H reading to us was always the highlight of my day, and something that drove me in adult life to first teach, to bring a love of books to others and later - to write, myself. 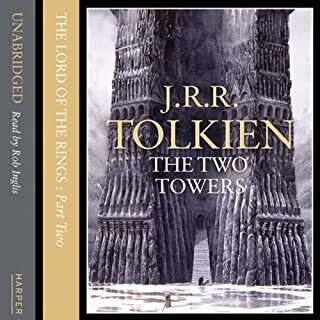 Sadly Mr H favoured C.S.Lewis over Tolkien, so I never got to hear 'The Hobbit', only read it, til I got this audiobook. Now, I can be taken right back to a very happy time in my childhood, just by listening to this! This is also why sometimes, audiobooks are preferable to text. Some stories were written to be read out, and this may be the mother of them all. 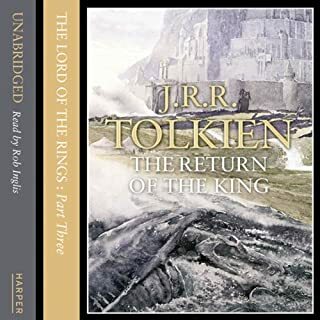 I hope many people who go to see Peter Jackson's films are encouraged to buy the audiobook, and get the full experience and go the whole way there - and back again - with Tolkien's words. 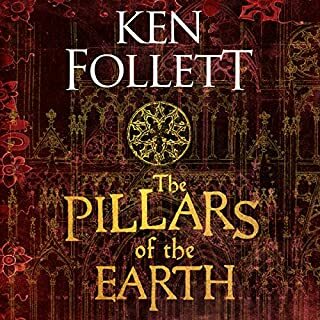 This is the first and so far only Ken Follett I have read. Absolutely loved it. It is a rip-roaring and absorbing story - yet another one of those books from a couple of decades ago, about the obsessive compulsion to build cathedrals; for humankind to make its mark. On the surface of things, many of the characters are unoriginal, but Follett somehow brings them to life. The relentlessness of the villain is rather compelling, and Follett manages to pull off that most difficult trick of all - to make a solid, 'good' person (Tom Builder) an interesting character. Follett is also adept at showing us life for different social classes, and the characters have very convincing motivations, making for a complex interplay of a group of disparate characters, handled with confidence. There are no glaring anachronisms to distract us from the story, and you feel you have been immersed in a whole new place and time, every time you listen to the book. I loved it so much, I listened to it at a breakneck pace and went flat out til the end.